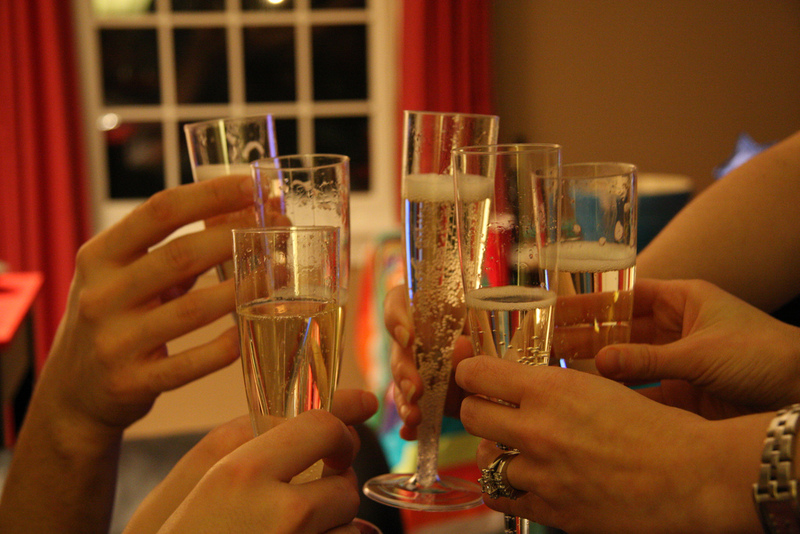 As you raise a glass to the new year, resolve to be a better writer in 2015! With 2014 drawing to a close, it’s time to take stock of the year and look forward to the new year ahead. Did you accomplish everything you wanted to? Perhaps you did: Yay for you! Or perhaps you didn’t: If so, you’ve got plenty of company. But don’t fret. The new year is a chance for a fresh start, so it’s time to make some New Year’s resolutions. Here’s a list of some suggested goals for freelance writers in 2015. But remember, you don’t have to try to do everything at once: Pick a few to keep your list more manageable, and try to set some small, concrete goals for yourself to achieve. Try out a new writing app to shake up your routine. You might find a really great tool that will help you be more productive! Read more. Set a goal to read a certain number of books a month, or read a magazine a week, perhaps. When you read more, you’ll see more examples of good writing and maybe even expand your vocabulary. Having trouble keeping track of deadlines? Experiment with a new organizational tool, like the calendar function on your smartphone or a whiteboard on the wall next to your computer. Find a writing buddy, someone who will read over what you write and give you feedback on it to help improve your writing before you submit it to a client or publisher. Pace yourself: Focus on doing fewer projects well, rather than rushing through a bunch of them and doing a sloppy job. It’s more important to build a long-term reputation for quality than to get a lot done in the short term, only to see your opportunities dry up when clients are dissatisfied. Step away from the keyboard. You need a break sometimes to recharge the brain cells: Make time to do other things, like spending time with your family and friends, watching a movie, or just talking a quick walk around the neighborhood. Adopt better dietary habits: Much as you might think that you can get through the day on coffee and junk food, it’s bad for your health and your energy levels. Work out a better budget plan, taking into consideration the fact that a freelance writer’s workload can rise and fall throughout the year: When the work is plentiful, make sure to squirrel away some of the bounty for leaner times. Develop an area of expertise. Clients are often looking for experts in a particular field or subject, so finding your own niche can make you more marketable. Try writing a new type of content. Do you only ever write blog posts? Try taking on some marketing work. You might also try your hand at writing press releases, or résumés, or even that novel you’ve always wanted to get around to writing. Create a distraction-free space and time for your writing. Log off of Facebook, put down that phone, and get your spouse to watch the kids for a while so you can have the environment you need to be productive. Don’t compare yourself to other writers and feel bad about yourself. Not everyone can be as successful as J.K. Rowling or Stephenie Meyer, after all, and fame and fortune usually don’t happen overnight. Just work to be the best writer you can be and focus on your own progress. Don’t dwell on your mistakes or get upset or indignant when they’re pointed out to you. Instead, welcome feedback as constructive criticism and try to learn something from it. What are your writing goals for 2015? Feel free to share them with us in the comments. Good luck! ‹ Merry Christmas from OWJ!